For years, propane gas mainly fueled outdoor barbecues but in the past few decades it has become an energy choice for home furnaces as well as other household appliances such as water heaters, clothes dryers, space heaters and kitchen ranges. 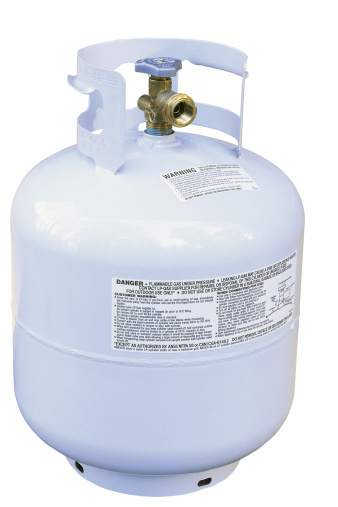 Propane is a sold by the gallon, delivered to homes and businesses, and stored in large tanks connected to buildings. Propane gas used to power household appliances is stored in large tanks. The amount of propane annually used by a household range depends on how many people are in the household. One to two people use about 60 gallons, three to five people around 75 gallons and six to eight people, approximately 85 gallons. The rate of consumption varies based on cooking and baking habits. Using propane gas instead of natural gas or electricity to power a range can be cost-effective depending on the economic climate of where you live. The cost of propane fluctuates significantly, similar to gasoline prices, but it is generally a bit cheaper than the alternatives. Another propane advantage is its burning efficiency. According to the U.S. Department of Energy, propane stovetop burners are around 40 percent efficient and propane ovens have about a 10 percent efficiency. As it relates to energy consumption, efficiency is the amount of energy absorbed by the food being cooked divided by the energy produced by the stove. Propane stoves with pilotless ignitions that negate the need for a pilot light burning 24 hours a day save about 40 percent of energy use over models with conventional pilot lights. According to Alliant Gas, a major residential propane fuel provider in Texas, on average, cooking with propane costs less than half of what electric ranges cost. Propane ovens maintain more stable temperatures than electric ovens, with fluctuations of around 10 degrees Fahrenheit compared to variances between 25 and 50 degrees in electric ovens. Propane gas burners provide more control of heat as the flame and heat are instantly activated and extinguished. Pots and pans with warped bottoms heat just as efficiently as flat-bottomed cookware. 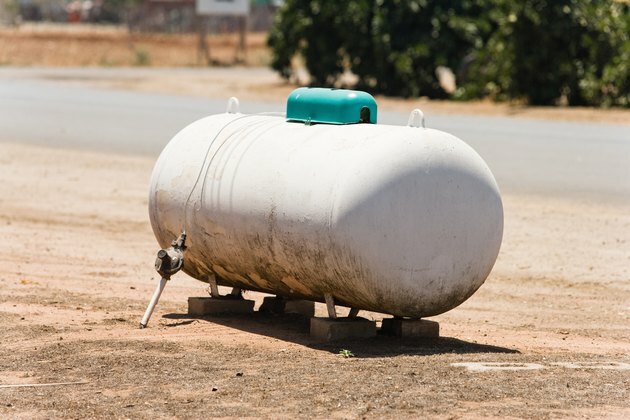 If you live in an apartment or condominium, there is generally no room to store a propane tank large enough to meet household needs. Propane delivery service is not available in some rural areas. Unlike natural gas and electricity, which constantly flow into your home, you have to keep tabs on propane fuel levels to make sure you don't let the tank run dry. How Much Electricity Do Electric Fireplaces Use?